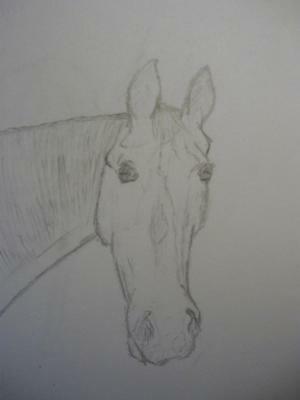 Here's a sketch of my cousin's horse, Sundance. 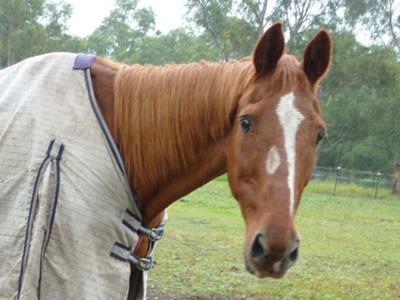 I drew this when I went to her stables, a long time ago. Your drawing is soooo close to the original! Just make the muzzle smaller, and you're in the ballpark! Good job!